CHC System was established in Machida, Tokyo. Started to deliver kitchen counters/sink counters for Sekisui Chemical Co., Ltd., Sekisui Heim/Sekisui Two-U Home. Established the brand name “Marvel”. Started to deliver Housing Corporation-certified products. Exhibited “Marvel” at Good Living Show which was held 4 times thereafter. Opened Tokyo Branch: as a 10th anniversary commemoration project (Completion of the new Tokyo office building). Held the 1st CHC Marvel Design Competition, which was held three times thereafter. Started to deliver sink counters for Doutor Coffee Co., Ltd. nationwide. Established System Housing Construction Co., Ltd. Opened housing exhibition in Minaminaruse, Machida. Headquarters shifted to Nakamachi, Machida as a 20th anniversary commemoration project (Completion of the new headquarters building). Obtained certification of ISO 9000 Quality Management System. 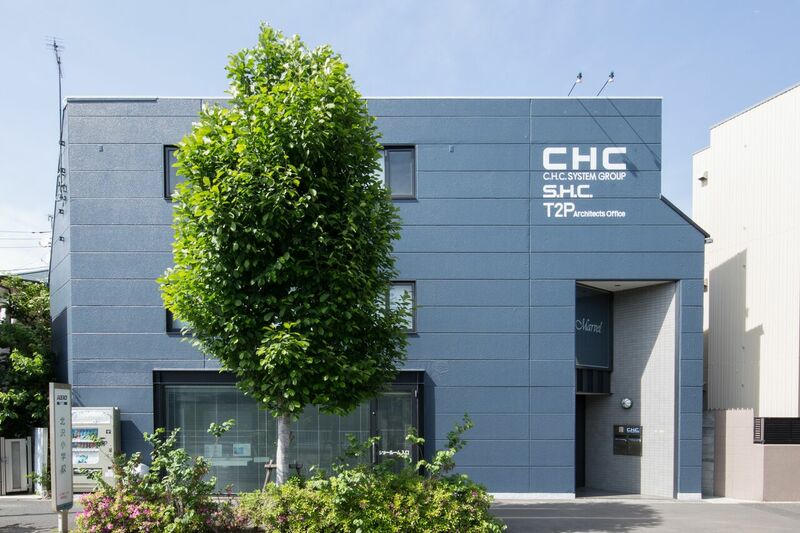 Opened an overseas subsidiary, CHC System Co., Ltd., in Seoul, South Korea. Concluded a consulting-service contract with France Bed Co., Ltd. with regard to Japan-Korea business. Concluded a consulting-service contract with GS Retail Co., Ltd. (South Korea) with regard to plant-engineering consulting service for factories and shops. Started the sales of CO2 monitors and CO2 controllers as a 30th anniversary commemoration project (Japan and South Korea). New construction of 8 guest-house buildings for Company D.
Started nationwide sales of CO2 controllers for major coffee chain stores and public elementary and junior high schools. New construction of a restaurant in Minami-Aoyama. New construction of Oyamagaoka House Building A and B. Participated in the JPFA’s*1 “Project for Technological Revolution for Green and Water” in a MAFF*2-subsidized enterprise. New construction of a tourism and exchange center on Onojijuku street. Received a trial-order approval for CO2 monitors and CO2 controllers from Tokyo Metropolitan Government. Soundproof work and repairs of toilets for a municipal junior high school in Machida. •Participated in AHR EXPO (Chicago, USA; CHC has participated 3 times since then). •Participated in the architectural equipment work of the 100th anniversary commemoration project of Seijo Gakuen Education Institute. •Eco-renovation work of a municipal primary school in Machida; repair work of Machida City Museum of Graphic Arts. •Opened a housing exhibition within the headquarters site in Nakamachi, Machida. •Delivered 1,160 CO2 controllers to a major complex in Beijing, China. •New construction of a schoolhouse for a junior and senior high school for Seijo Gakuen Education Institute. •Repair work of the Naruse Community Center. Established T2P Architects Office Co., Ltd.. Participated in China (Tianjin) International Fair for Investment and Trade. Participated in Taipei Int’l Agricultural Innovation Technology Exhibition in Taiwan and GTI International Trade & Investment EXPO.